COSMOBEAUTE VIETNAM 2012 WELCOMES YOU! 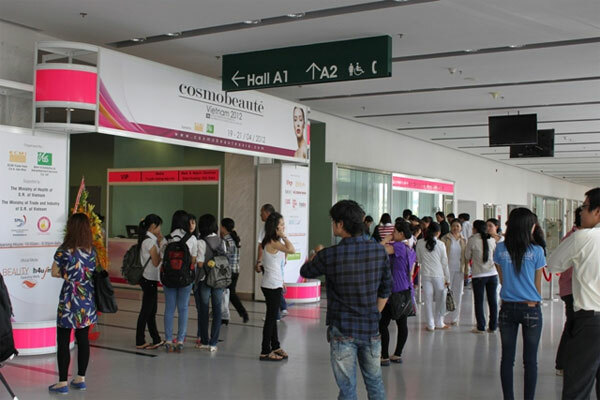 Cosmobeauté Vietnam 2012, the 5th Vietnam International Exhibition & Conference on Cosmetics, Beauty, Hair & Spa welcomes you with open arms today! We have great pleasure in having the important guests locally such as Mr. Vo Ta Luong, the Deputy Chief Representative of Ministry of Industry and Trade of Vietnam, Mrs. Nguyen Viet Hong, the Head of South – Vietnam Women’s Union, Representative of the Ho Chi Minh City Society of Plastic & Aesthetic Surgery, Mrs. Truong My Hoa, the Former Vice President of Vietnam, and Mr. Bui Duc Phong, the Deputy Chief Inspector from the Ministry of Health for the grand opening ceremony today. Not forgetting our guests from overseas like Mr. Kim Deak-Seong, Chairman of the Korea Beauty Industry Society (KOBIS), Ms. Cecilia Tham, Representative of Singapore Manufacturers’ Federation (SMa) and fellow delegates to top the opening ceremony! Exciting events are ready to surprise you! Resourceful seminars will be taking place at the seminar rooms in Cosmobeauté Vietnam to allow visitors to meet and discuss with the experienced speakers on beauty issues and trends. Not forgetting the International Conference on Plastic Aesthetic Surgical & Non-Surgical Treatment, hosted by the Ho Chi Minh City Society of Plastic & Aesthetic Surgery is bringing in renowned speakers to talk about related topics. Various competitions and stage programs are ready to take the stage in these 3-days exhibition. Wonder who will be in the hall? Companies from Taiwan, Singapore, Italy, Korea, Malaysia, Hong Kong, Egypt, Vietnam, Thailand and many more are exhibiting their latest trends and products here! We invite all the professionals in the beauty industry to visit us from 19th– 21st April 2012 from 10:00 am till 6:00 pm daily. 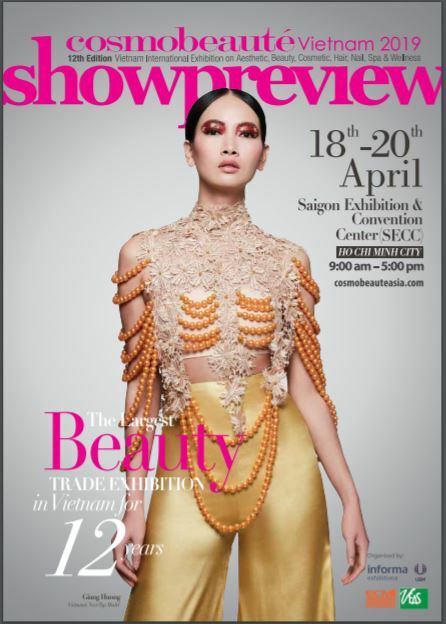 Visit us at the Vietnam’s ONLY Beauty Trade Platform to Explore Business Opportunities!